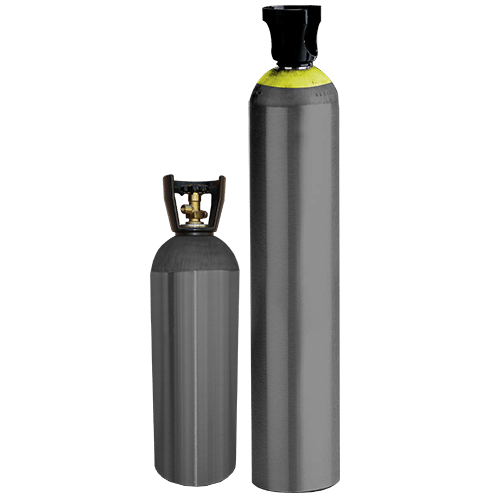 Rent individual 20lb or 50lb cylinders from General Air. Perfect for applications with low gas usage or a need for portability. The Carbo-Mizer 450 from General Air is our most popular model — and for good reason. At 20″ in diameter, 71.8″ in height, and 750lb full weight, the Carbo-Mizer is perfect for low-mild use operations allowing for longer usage between fills. The Carbo-Max 750 from General Air is great for medium size operations with a greater gas consumption. At 1201 lb full weight, the Carbo-Max will get the job done. For larger operations with high demand for CO2, the Carbo-Max 1000 will supply what’s needed. At 1788 lbs full weight, this tank will supply greater amounts of gas while extending the time between fills leaving your business running at full capacity. For high use customers (such as brewers) a receiver will pack the biggest punch. With a variety of large storage systems and setups and a range from 4,000 lbs to 60,000 lbs General Air has the right bulk receiver for your company’s needs. Our Nitrogen Generators with a built in blender box create 99.8% pure nitrogen from the air. Dry ice offered in pellet, slab, and block form. 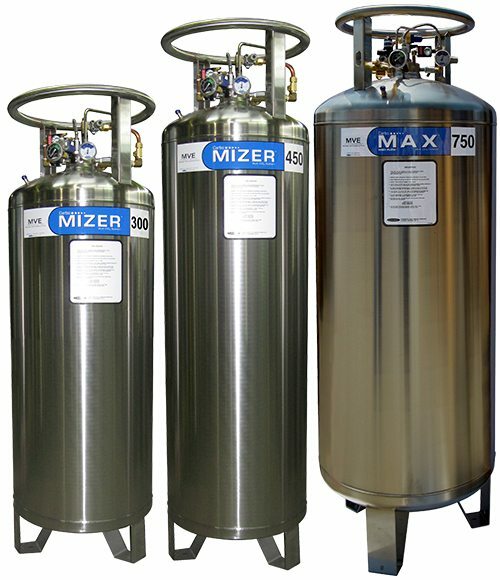 In addition to nitrogen generators, we also supply gas blenders that will provide up to three proper gas blends tailored to your specific beverage needs. Monitor CO2 levels to ensure a safe working environment for your employees, suppliers, and yourself. Contact us for any questions regarding CO2 monitoring and government compliance. We sell everything – custom signage, gloves, slip protections, ladders, lights, etc… Click here to see our full safety catalog.